Named after its appearance, the new addition to the Cast family has the shape of the mathematical symbol for infinity (also called lemniscate - probably not a good name for a Cast Puzzle). Inside the frame are two discs that seem fused together and impossible to remove. There's a way to separate the two discs, however, although it requires quite a dedicated and persistent mind. This one is not for the faint-hearted. The puzzle is beautifully made, although I would've liked to see the two discs with a golden color contrasting with the silver frame, as we sometimes see in other Cast puzzles. It's quite a small puzzle also, measuring only 5.2cm x 3.1cm (2.1" x 1.2"). The holes in the discs are quite practical actually, since you can use your fingers to try and rotate them, provided you have some room to maneuver them. Inside the frame there's a protrusion that blocks some of the movements. Because the discs also have grooves strategically positioned, it's up to you to find the correct positions to move the discs and solve the puzzle. All of this is easier said than done. Unfortunately, this is one of the few Cast puzzles that I wasn't able to solve on my own so far. This is rated as a difficulty level 6/6, and this time, I have to agree with Hanayama. It's really a very challenging puzzle - maybe a 7/6. Sometimes you're able to rotate one of the discs, but it's difficult to see if that movement put you closer to the solution or even further. I'm going to keep trying, hopefully not for an infinite amount of time. Solution: If you find the puzzle too difficult, you can download the solution here. Even though I'm disappointed to not have solved the Cast Infinity, I'm still hopeful to solve it, and for now, I have an excuse to keep playing with it. It's a beautiful puzzle and despite its difficulty it manages to encourage you to keep at it until you finally break that infinity. 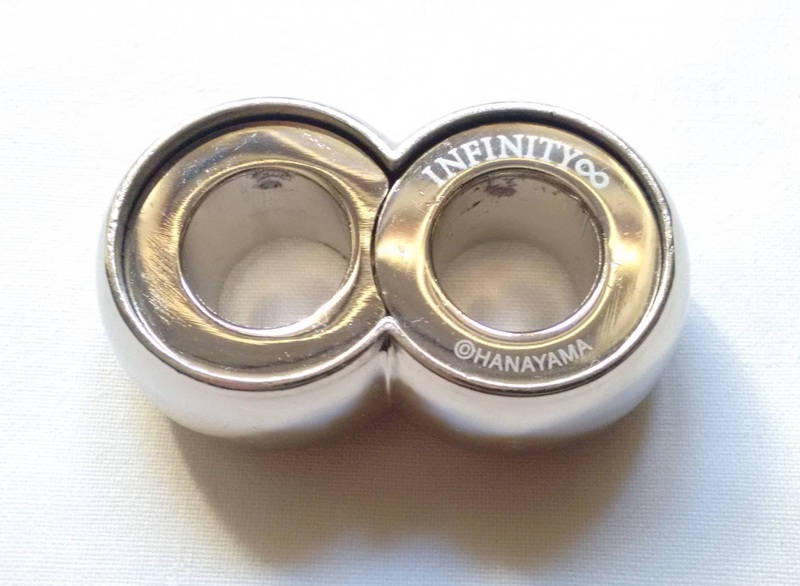 Availability: The Cast Infinity is available from PuzzleMaster for $15.99 CAD. 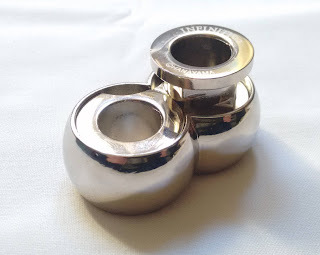 The entire Hanayama collection is also available. Check out more puzzles from Vesa Timonen, as well.